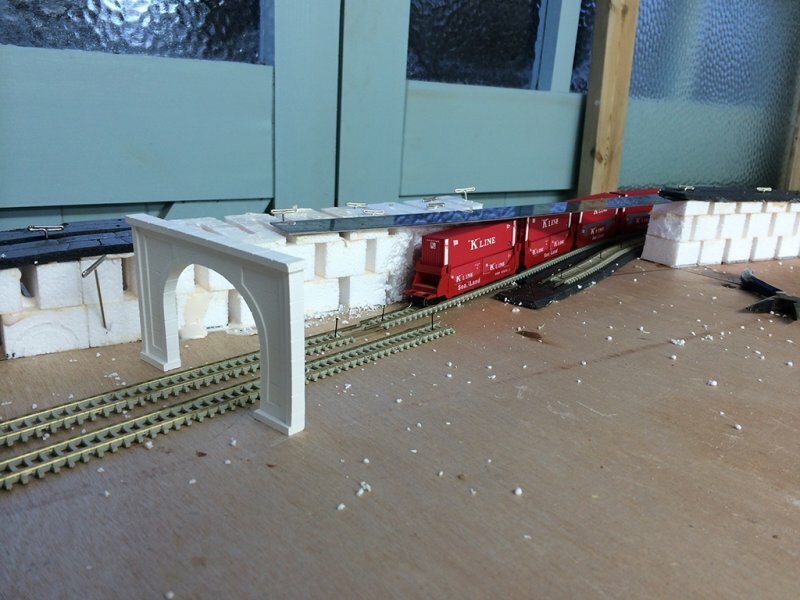 I’ve started on the new incline. 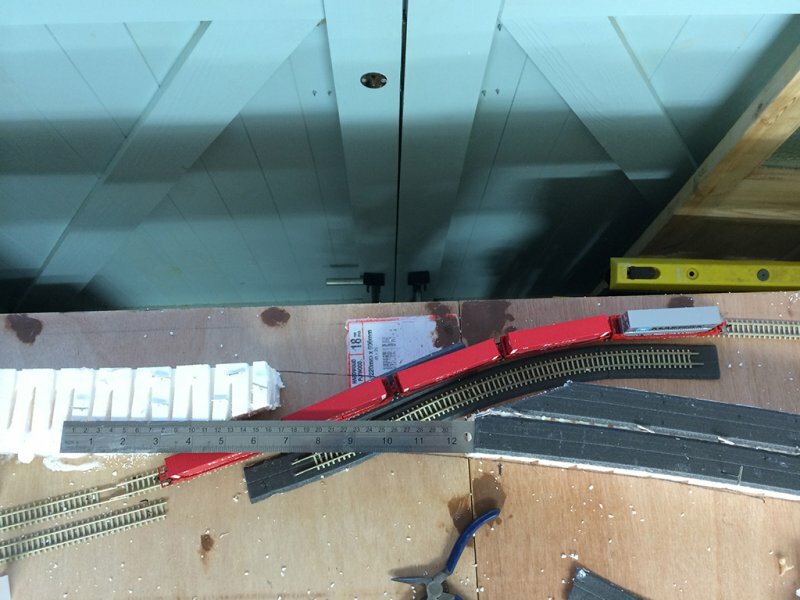 As you can see below I have used Woodland Scenics incline sets to create a 3% – 4% grade incline, which climbs over the track below. The track below will go into a tunnel just before it goes underneath the flyover track. At the top of the grade will be a large LH turnout on one of the tracks which will lead across to a single-slip crossing on the other track, in turn leading to a yard. I’ll post a revised trackplan later this week which will show where the track goes. Here are a few photos showing the progress so far. 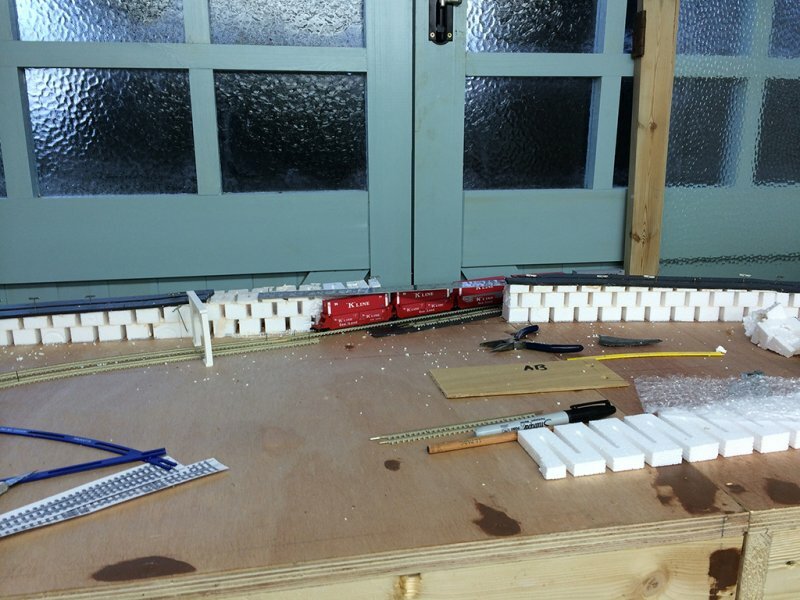 Since taking these photos I have laid all the track underlay on the incline and will start laying the track early next week – just waiting for the turnout and crossing to arrive.